As soon as this idea came to me I knew it was one of my best. I teach preschool, and this week we learned all about water. We ended with a lesson on how water turns into ice and demonstrated by making Kool-Aid Popsicles. While the kids were sitting on the playground enjoying their treats and dripping red juice all over their clothes, I was trying to think of a "grown up" version that I could make for myself. The idea to use sangria hit my out of nowhere and I just could not get it out of my head. My portions are all small because I was just making four popsicles, but this could easily be doubled or even tripled. 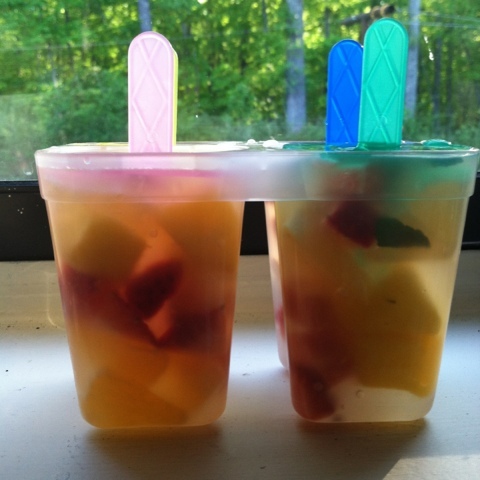 Once you have your sangria mixed together let it sit in the refrigerator for 1-2 hours to let the flavors begin mixing. 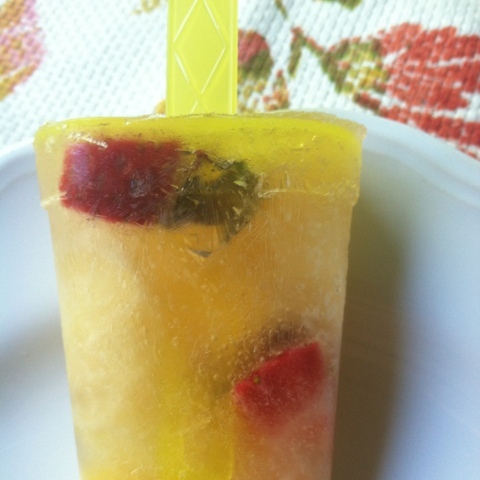 Then fill your popsicle containers (or small plastic cups!) and pop them in the freezer. I made mine around 6:00 and let them freeze overnight. I absolutely love how these turned out. 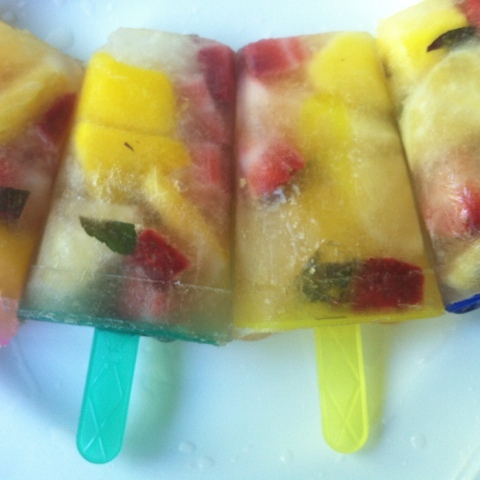 They're sweet, a little bit tart, and the chocolate mint is the perfect addition. They would be perfect for a summer barbecue, or really any get together! 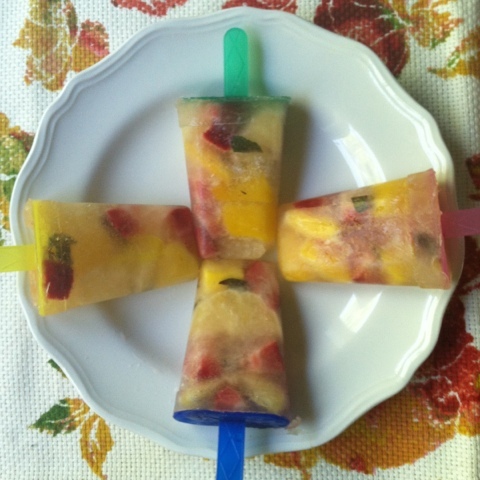 Have you experimented with homemade popsicles? What's your favorite flavor combination?